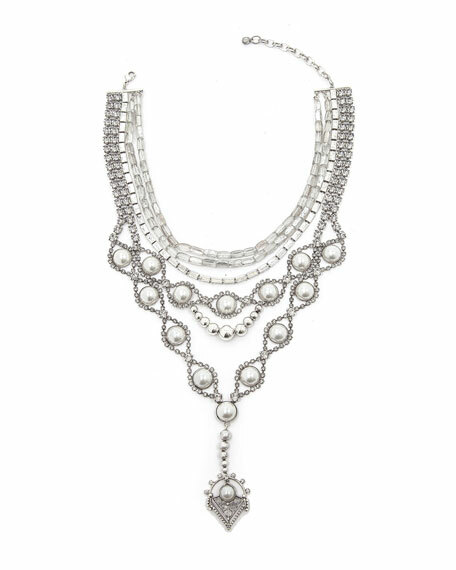 Gigi statement necklace by Dylanlex. Oxidized silver plated brass hardware. Multilayer bib with Y-drop pendant. Multi-size glass and pearly beads. For in-store inquiries, use sku #2661872.